Home nails How are your nails looking? I'm not huge on my nails like I used to be. Oftentimes, my nails are unadorned and I feel it when my cuticles start to crack or a nasty hang nail comes out here and there. Whenever I see fellow bloggers like Yummy, AskMeWhats and Mischo Beauty with their beautiful nails I always feel a little guilty for neglecting mine. 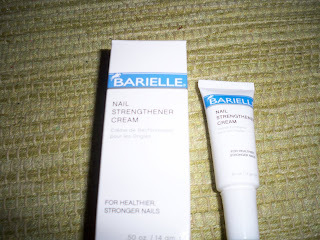 However, I recently had the opportunity to try out some new nail products from Barielle. This was the perfect opportunity to sport nicely manicured nails without having to head to the salon. 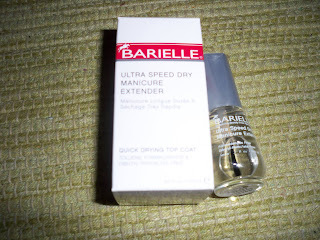 Ultra Speed Dry Manicure Extender - I used this with my Essie nail polish, and my nails were chip free for over a week. The formula is really good, much better than my random top coat from Sally's. I can tell that when I applied it, it went on with a nice thick, shiny coat that sped up the drying process and also protected the nail color. 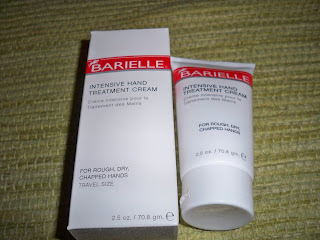 Professional Protective Hand Cream - With the winter months drying out our skin, everyone needs a good hand cream. This one isn't greasy and does the job. My mom blessed me with hard as rocks nail so I didn't really have a use for this product. I plan to be giving it away in an upcoming contest though! 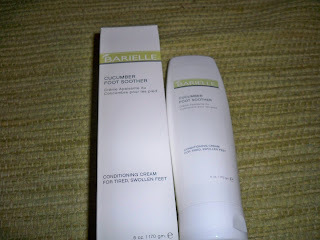 I'm holding onto these products for an upcoming contest as well. Stay tuned! 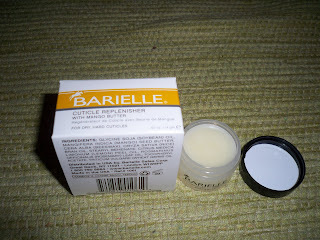 Check them out at http://www.barielle.com/ . The site offers 15% off for your first order. They've been featured in all of the popular magazines including Allure, InStyle, and Cosmo. Not only do they offer nail products, but they offer lotions, foot creams and skin care products as well. Are you into nails? Leave me a comment with your best nail tip, and we'll mail you any Barielle's product of your choice. Be safe tonight, whatever your New Years Plans are! I'm going to dinner with friends and having our own mini party after. I'll take pics! What are your plans for New Years? after doing a manicure, apply a fresh top coat at least everyother day, if not everyday. It will seriously extend the life of your manicure and keep it in tip top shape! Never ever pull at hang nails. Always carefully groom them off with a great nail file so as to keep the shape of your nail. Even though it may be a bit shorter than the rest of nails, do not cut the others down, it will catch up. Hmm..best nail tip? : For me that would be every night try and apply a little cuticle oil to your cuticles every night. It takes like 2mins, costs like 2bucks and helps make your hands look like a million bucks! I have cuticles that dry up extra quick and this leaves them supple and also helps to extend my manicure. Hi there-unfortunately, I don't 'do' nails either, as I work with food. Wishing you a great night and a Happy New Year too! Mine is: Thoroughly moisturize your hands & cuticles pre-polish, but make sure all cuticle oil, lotions, etc (anything emollient) is off your nails COMPLETELY before moving to base coats & color, or it won't adhere well. If you don't want to use polish remover or plain ol' soap for this step, use thinned down rubbing alcohol or even witch hazel. Hi and happy holidays! The best nail trick I have is to use lime juice on your nails during a manicure. The juice can be squeezed into a warm bowl of water or the lime rubbed over your nails. Either way, the vitamin C helps to strengthen your nails. You'll also get the benefits of a cleanser, antiseptic, and antifungal agent. Afterwards your nails will feel fresh and have a healthy glow. My normal manicure place use to do this trick. Ta-da! It's fool-proof french manicure! (This process is the same for both pedicure and manicure) Enjoy! haha when i see gals who show off their awesome long nails it makes me want to step up my game too! as far as tips go... the only things i can think of is 1) when you file, file in only ONE direction1 if you don't, you can basically cause tears (even if u cant see it) that will result in a nail break/chip later. 2)if your nails are yellow, you can rub lemon on them and it makes it go away. Happy New Year's eve, RR! Hope you and your friends have an amazing night! Hi, my best nail tip is to always always wear gloves when doing the dishes and any work around the house. best nail tip: drink a lot of milk and when filing, only file in one direction! My best nail tip is: don't file your nails after they have been in water for a while. the nail goes soft, if filed it causes micro uneven edges- it can cause splitting with nails. after applying your standard cuticle cream,apply a good hand moisturizer and wear wool gloves or socks for 15 minutes your nails will glow and so will your soft skin. lol, im not really into nails either. i used to be. i have this HUGE box of nail polish just sitting under my bed not being used really. I know what you mean about neglecting your nails. I used to really be into caring for my nails but, now I don't do anything to them and just end up cutting them short. To keep nails from breaking always were rubber gloves when washing dishes or doing house work.